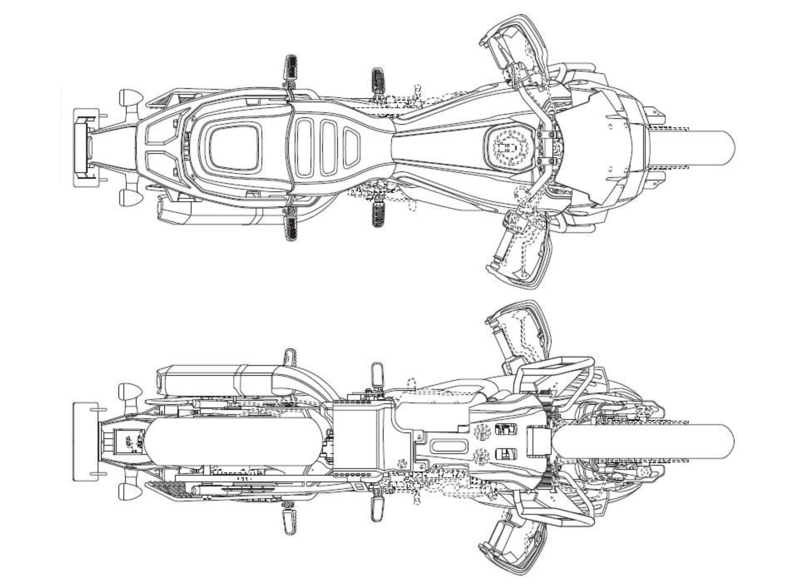 (UPDATE: We’ve added higher-resolution versions of the original illustrations —DC). 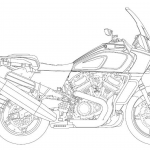 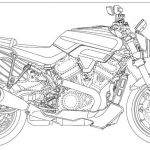 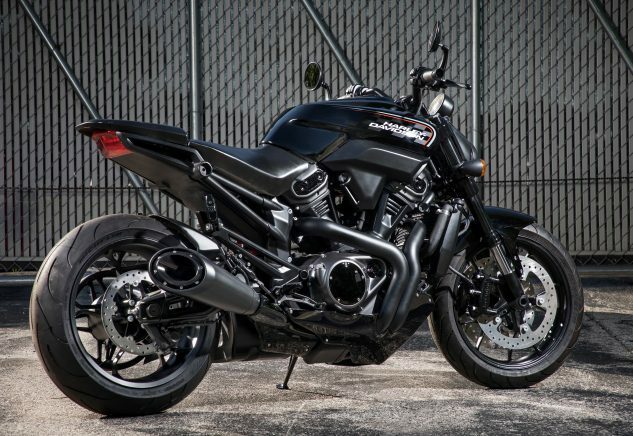 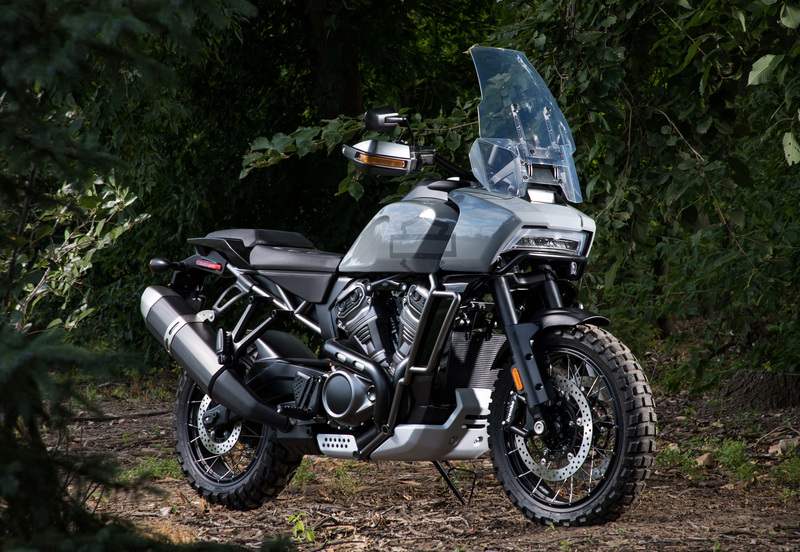 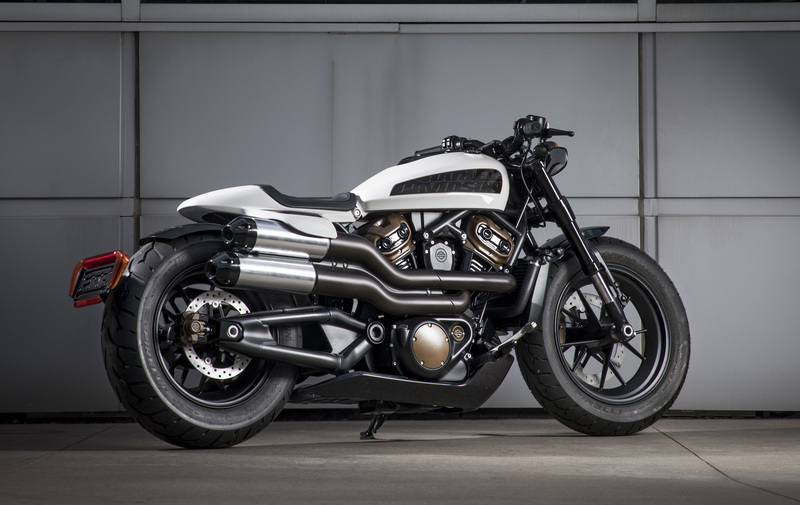 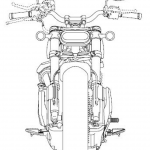 Technical details were also sparse, though Harley-Davidson did reveal these new models share a modular platform, with a new liquid-cooled DOHC 60-degree V-Twin engine architecture that will be produced in four displacements spanning from 500cc to 1250cc. 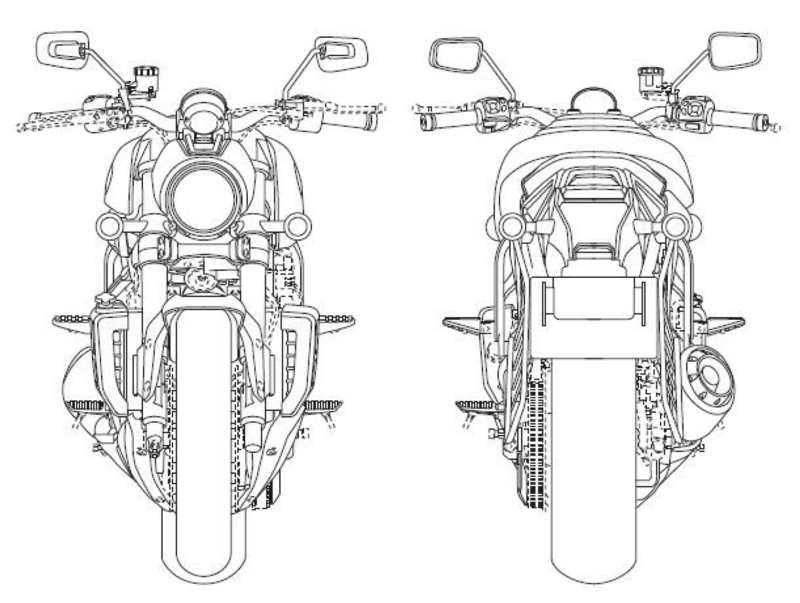 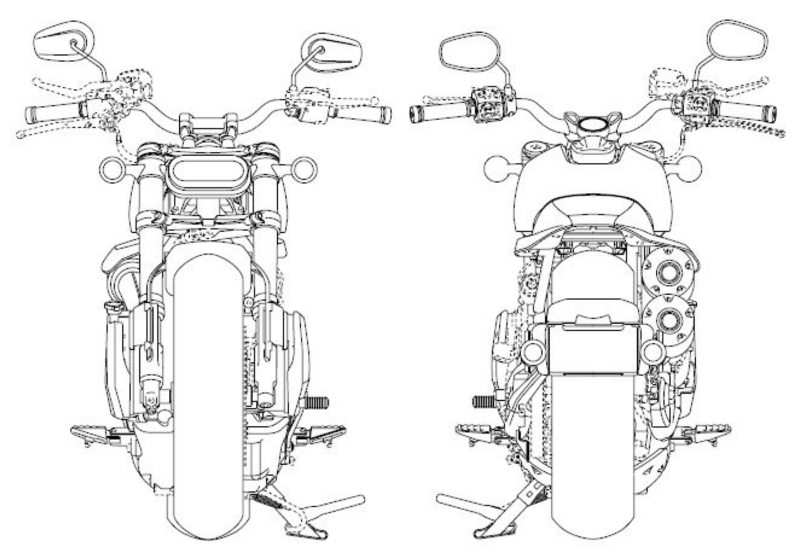 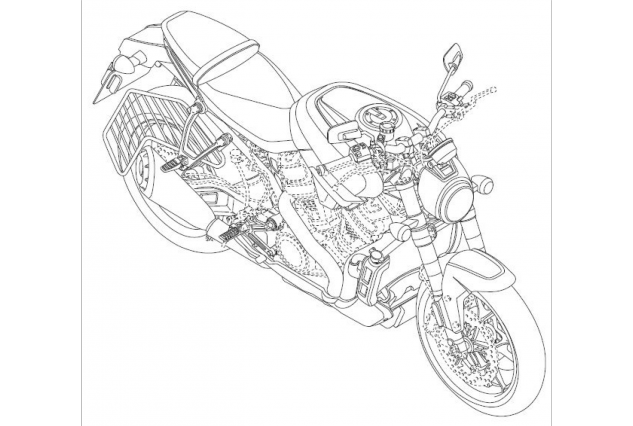 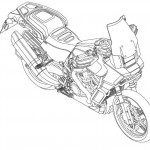 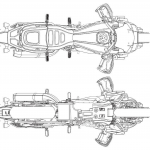 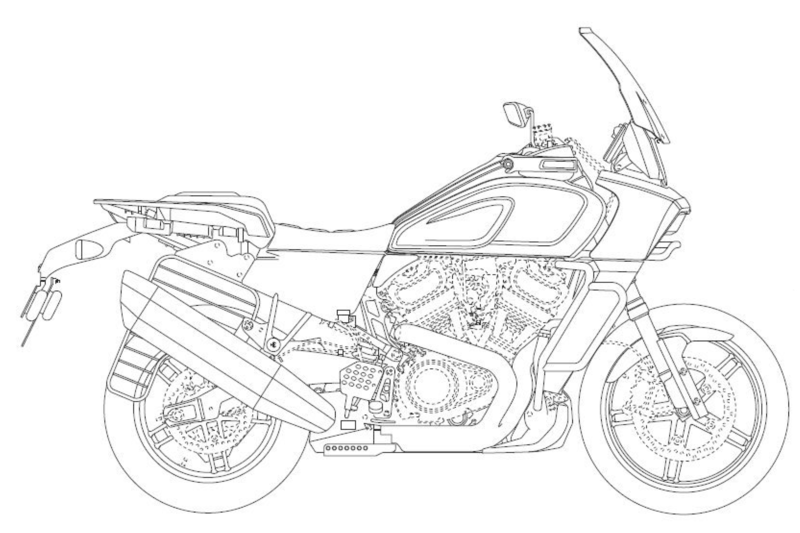 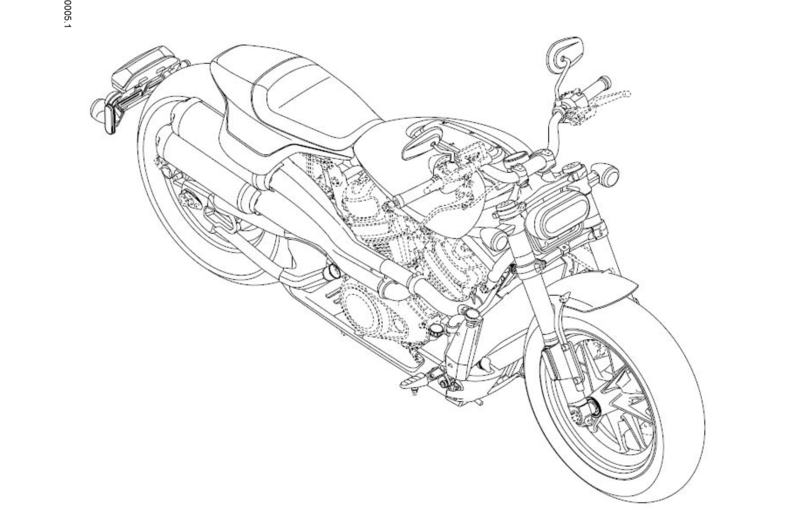 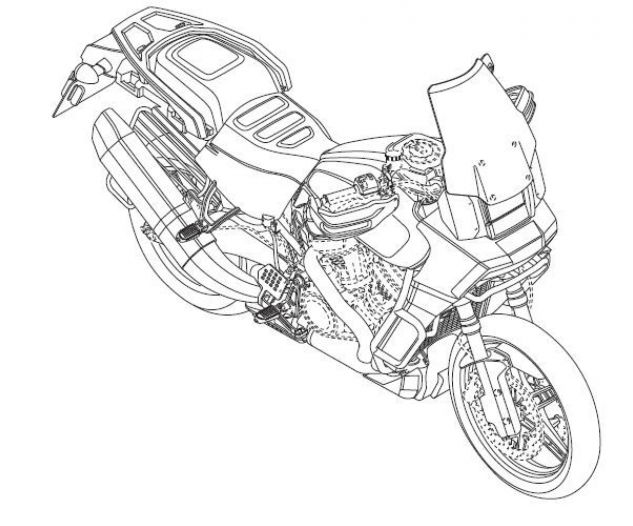 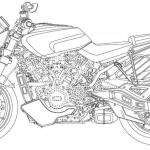 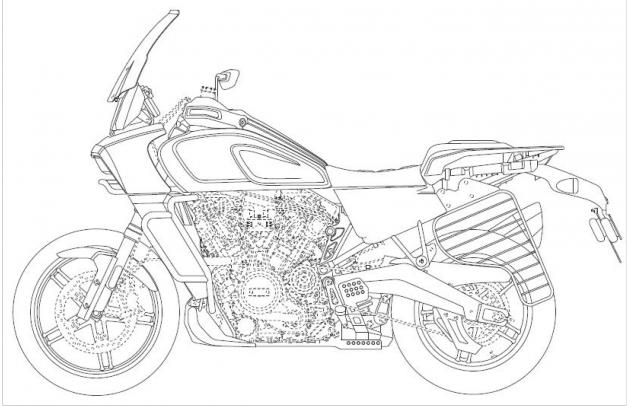 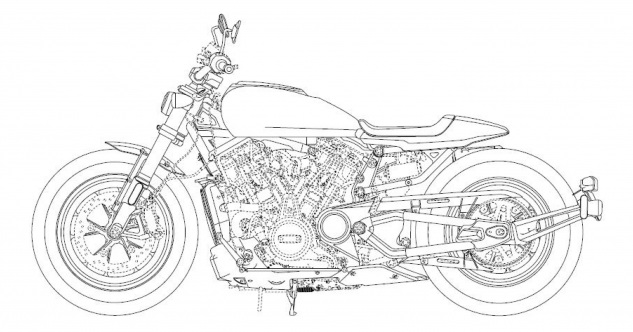 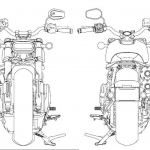 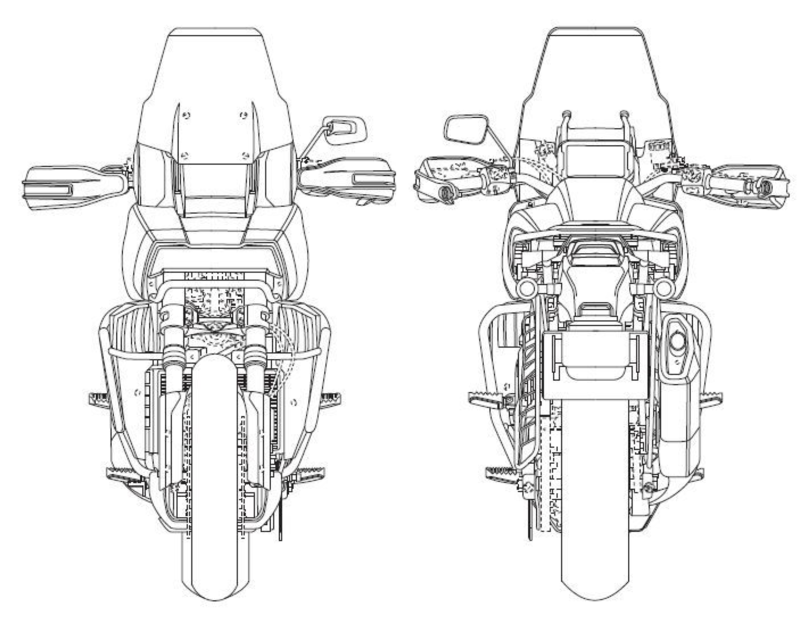 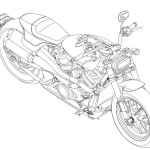 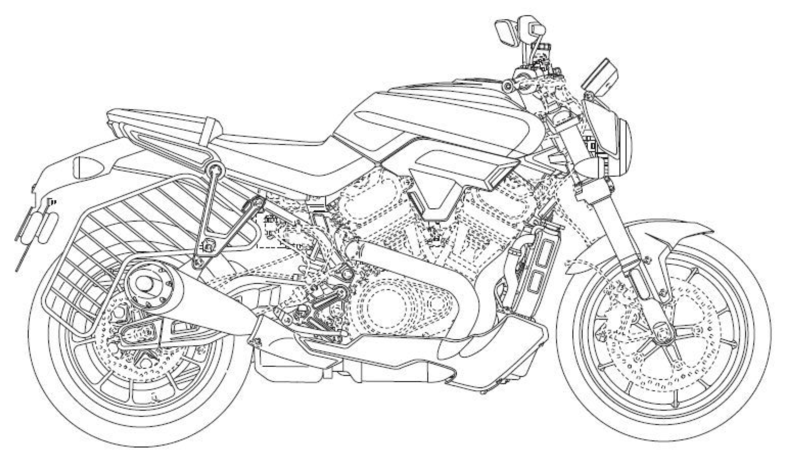 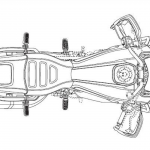 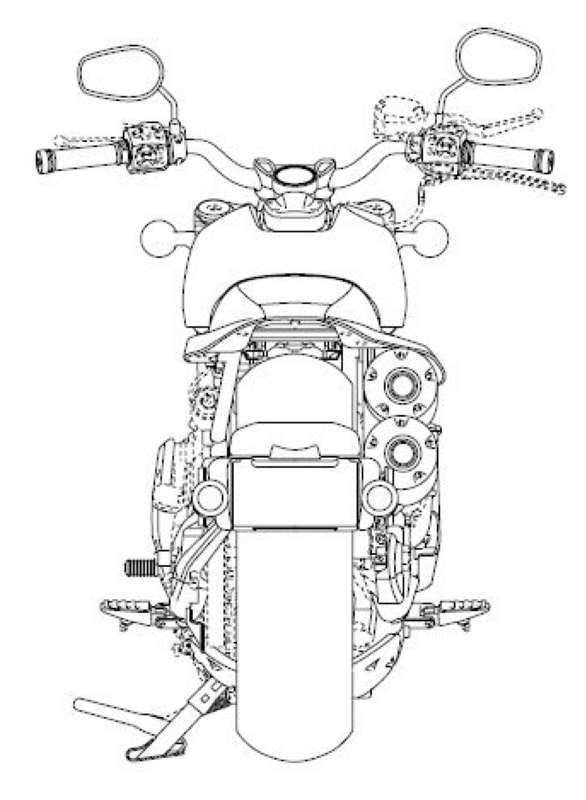 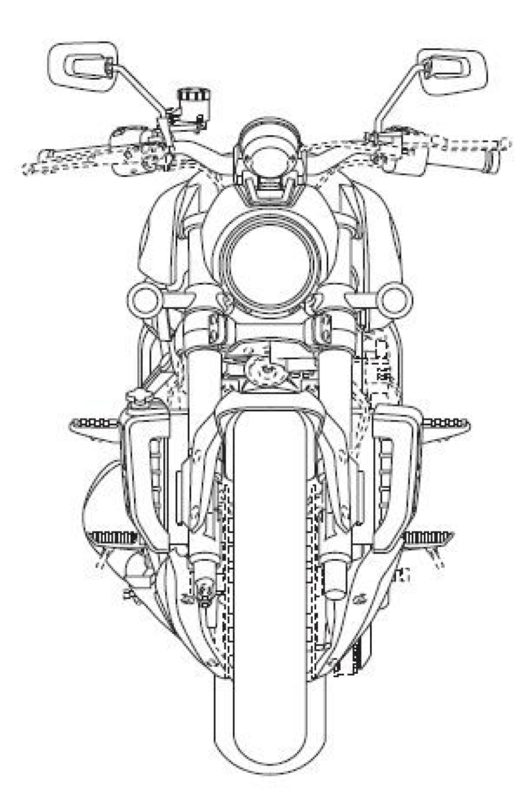 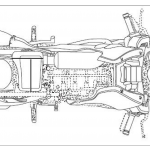 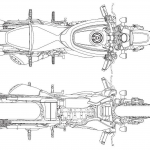 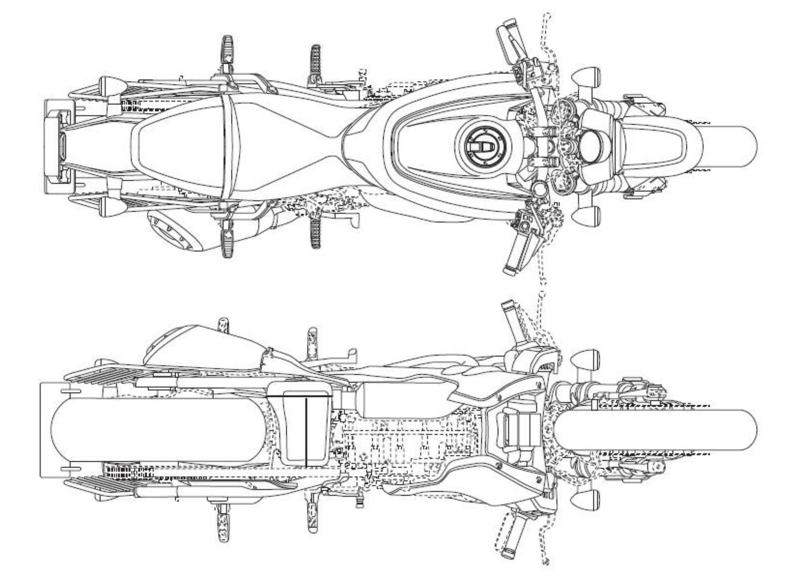 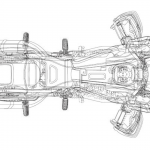 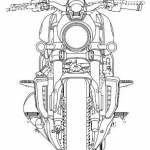 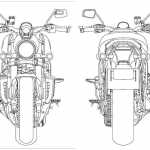 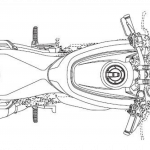 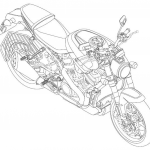 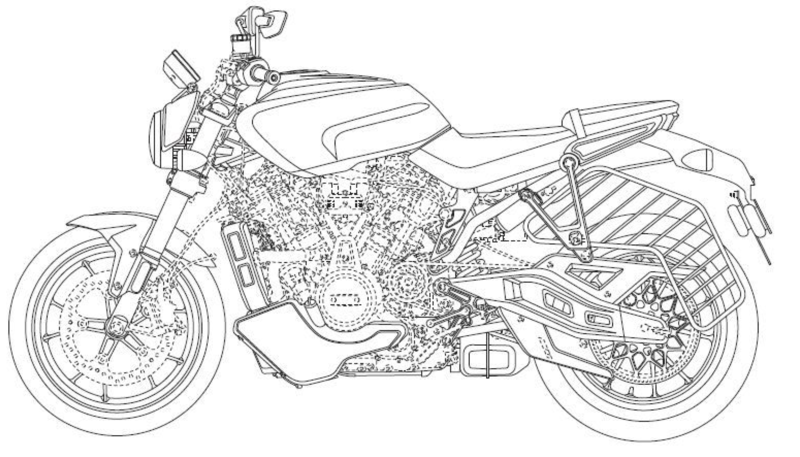 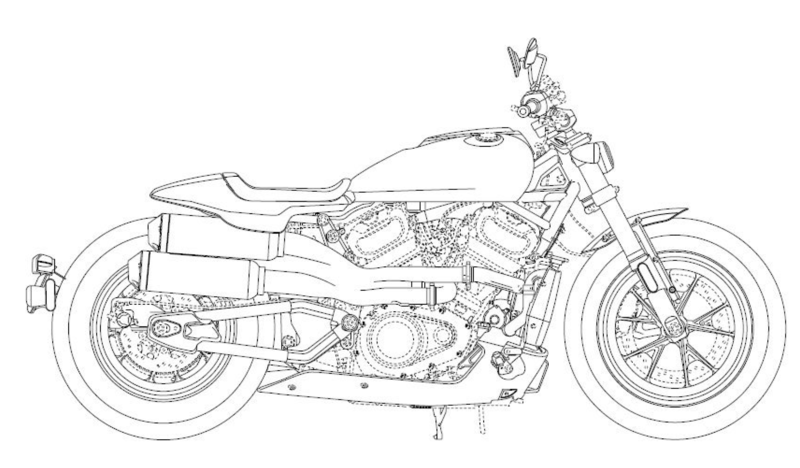 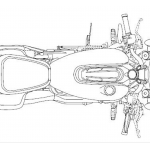 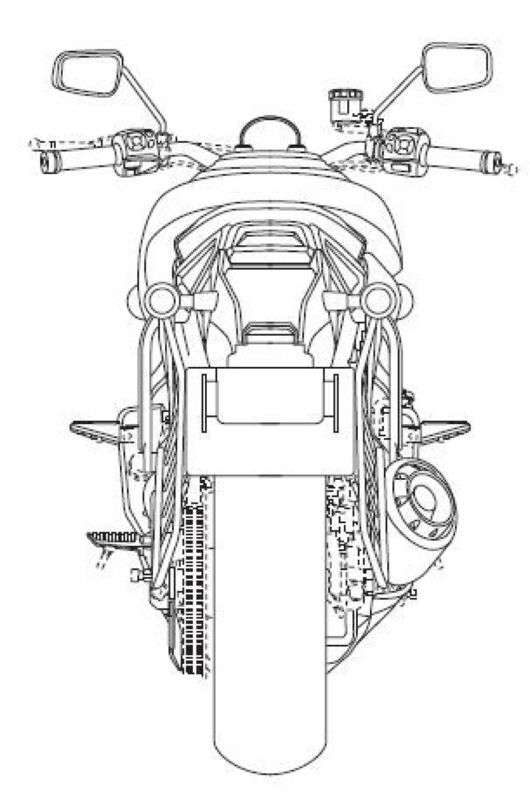 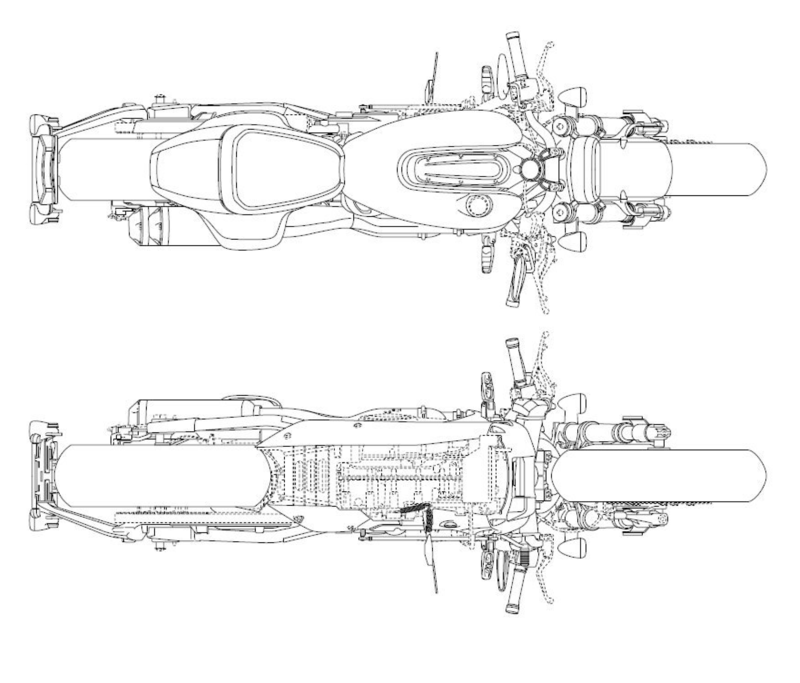 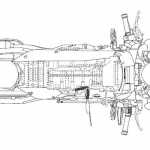 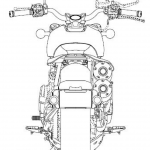 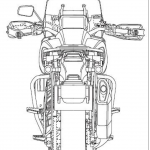 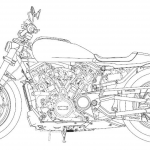 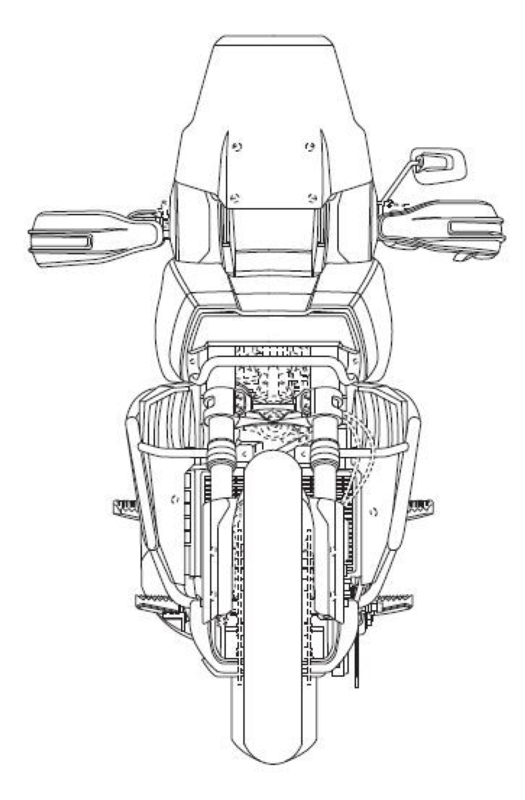 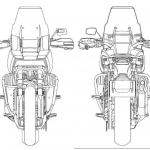 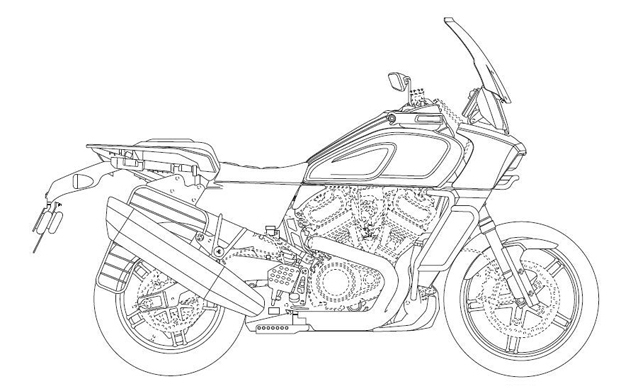 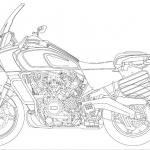 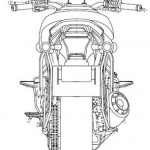 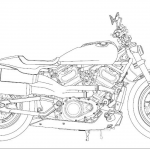 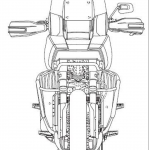 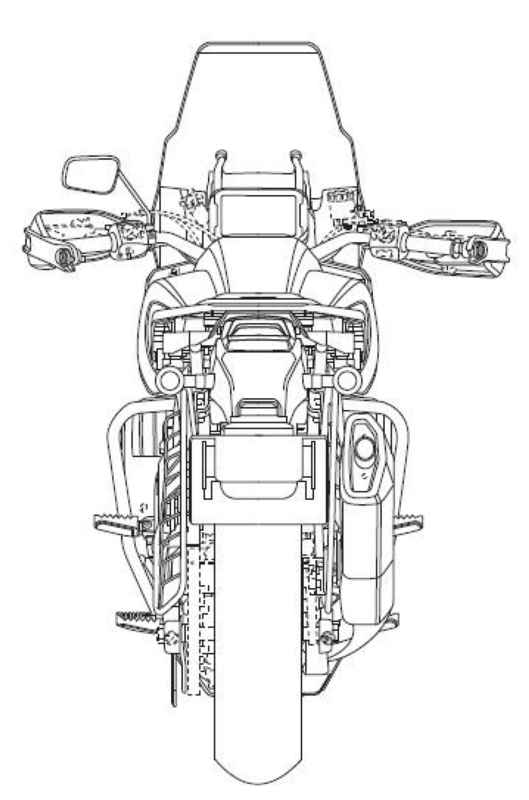 The engines in the illustrations for the three bikes are marked by dashed lines, as they are not part of the design filing itself. 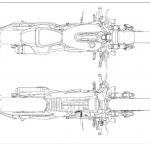 This also means that these designs may not be for the same engine displacements as the concepts, seeing as how they are supposed to share a modular platform. 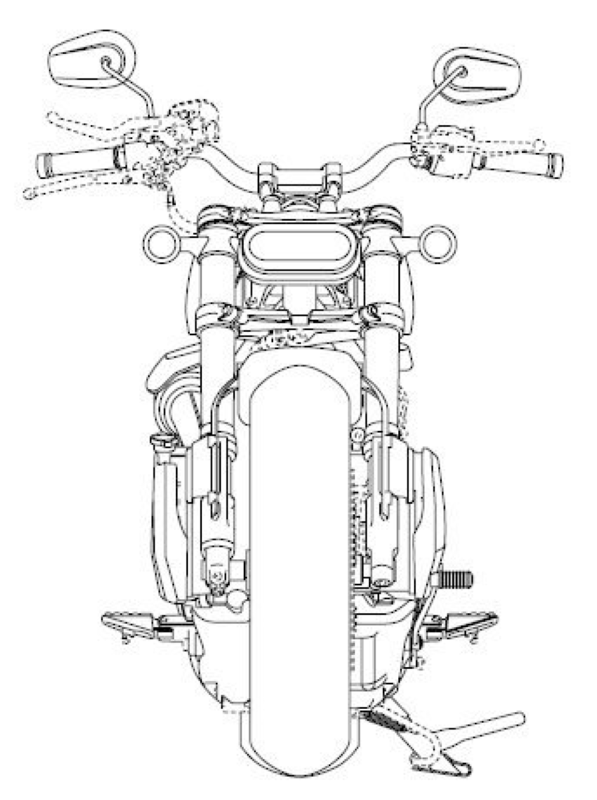 Until we get a better indication of the powertrains for these new bikes, we’re left with assuming the 1250cc size for the Pan America and Custom designs and 975cc for the Streetfighter.